Superior Court Judge Believes PTSD Vet Over A Supreme Court Attorney Ethics Vice-Chairman. From: ArmrdAngel@aol.com Agent Orange Victims & Widows Support Network, Inc.
"No soldier goes to war and comes back unchanged." Thus began the September 2006 testimony before Congress of Thomas J. Berger, Ph.D., chairman of the Vietnam Veterans of America?s National PTSD & Substance Abuse Committee. Berger continued, "There is no longer any doubt that the trauma of war inflicts mental health injuries every bit as real as the physical wounds inflicted by bullets and bombs." Those mental health injuries are now known fairly commonly as Post-Traumatic Stress Disorder (PTSD), but it's a label that is still fairly recent. "The symptoms of many vets initially were attributed to other things: depression at the very least and, for the more incapacitated, schizophrenia. The syndrome of Post-Traumatic Stress Disorder wasn't recognized until 1980," says Diedre Johnston, MB, BCh, an assistant professor in the neuropsychiatry and memory division at Johns Hopkins School of Medicine. The Census Bureau's latest count says there are 24.9 million veterans (though the number keeps growing as the Iraq war continues). The largest proportion--1 in 3 vets--are from the Vietnam conflict. Next, are WWII veterans, 4.4 million. All together, the number of veterans-- those age 65 and over--is at 9.7 million. 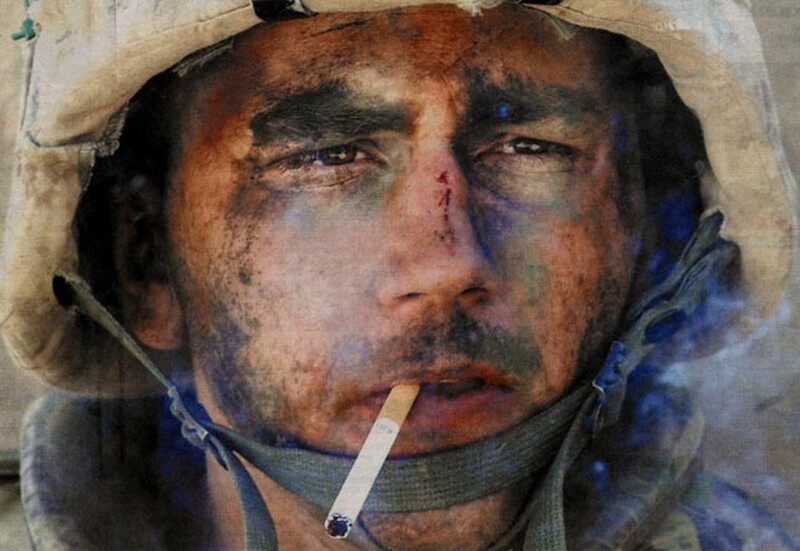 Most of the studies done so far on PTSD have involved Vietnam- era vets. Among both male and female veterans from this war approximately half have experienced "clinically serious stress reaction symptoms." And 15% of the men and 6% of the women are currently diagnosed with PTSD. In November 2006, the second Iraq war marked a milestone: lasting longer than WWII. In addition, many of the personnel scheduled to go home are either being kept past their original promised discharge date, or redeployed quickly. Both scenarios put these people at risk for PTSD. "The longer someone is in combat, and the younger you are, the more severe the trauma," says Rick Weidman, executive director of the nonprofit group, Vietnam Veterans of America. So far, latest studies indicate 18% of those who have served in the Iraq war and 11% of those from Afghanistan are at risk for this condition. In addition, says Berger, various triggers are increasing PTSD-related problems among previously serving vets. "Traumas like 9/11 and Hurricane Katrina, plus the constant reminders from the media coverage of the current war, are generating an increase in the manifestation of PTSD," he says. Although Vietnam vets may have helped make PTSD more visible, Johnston and other experts emphasize the disorder is not specific to them. The syndrome was recognized earlier--it just carried different names. "In World War I it was called 'shell shock,' in WWII it was 'battle fatigue.' By 1946, it is estimated 60% of veterans in Veterans Affairs hospitals suffered from neuropsychological disorders," Weidman says. 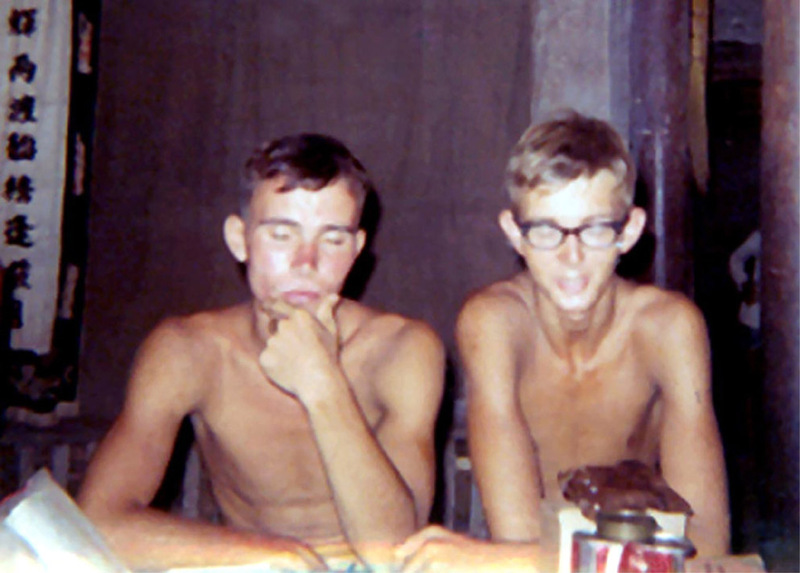 Weidman believes it was easier to hide the disorder's symptoms in the 1950s and 1960s. "Think of the cocktail parties--people drank like fishes and it was accepted. Or people became workaholics. The economy was booming, so we didn't see as much joblessness among vets; anyone who wanted a job could get it," he says. There are indications that older veterans who had learned to cope with their combat traumas are losing that ability as they age. "In the 1990s, several clinicians reported that as veterans in their 70s and 80s started experiencing dementia, their ability to suppress memories and images that disturbed them eroded," says Johnston. Although the number of veterans keeps rising (along with the triggers for PTSD), the funding for their care is tenuous. One of the reasons for the Congressional committee before which Berger testified "was to find hundreds of millions earmarked for PTSD that simply disappeared," Weidman says. "People in this administration are questioning if it's a valid illness. They really don't want to pay for it," he adds. He stresses the Bush administration isn't alone. "All the gains we had made in the previous ten years were wiped out under Clinton." Even when the government provides money for veterans, it often isn't being spent to fight PTSD. "Most money has been going into medical/surgical treatments, not psychology. And in VA hospitals, for every 100 interns being trained, only two go into psych work," Weidman says. That means vets often can't find help even when they seek it. "I'm in Columbia, Mo., and people have to drive three hours for the only help in the state," Berger says. "Many of the current fighters are National Guard and reservists. De- activated Guard members don't qualify for the benefits available to discharged veterans, and their care--physical and mental--varies state by state since they fall under the authority of their governors. Many of these people fall through the cracks," he says. There's also the issue of who helps the families? One spousal support group for veterans in Maryland has stories of wives/significant others whose loved ones are drunk or on drugs, who never work or are constantly jobless, and some who have become abusive. And these are just the women able to get help. Veterans' centers cannot aid the woman if she seeks help alone; her spouse/boyfriend must enroll, too. Many experts agree that everyone--the media, health care facilities, politicians, and the public--need to work more to recognize and fight PTSD. 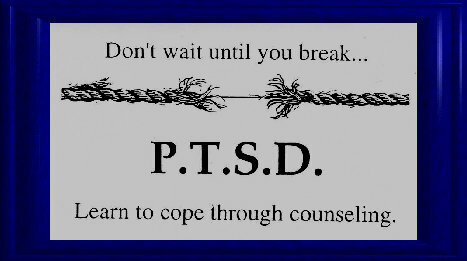 That's especially true because PTSD is not confined to veterans. "Any kind of trauma, especially extraordinarily violent trauma where people believe their lives to be in danger, can cause it," Weidman says. Such traumas include the out-of-the-ordinary, like 9/11 and the Amish school shootings, and the more mundane (but unusual to the individual), like a car accident. The Erickson Tribune will explore these other civilian-related traumas, and what can be done to help all victims of PTSD, in an upcoming issue. Home Of The Agent Orange "Quilt Of Tears"
To Visit Our Site! Click Here! IS A FORM OF DISCRIMINATION, AT LEAST IT SHOULD BE...!